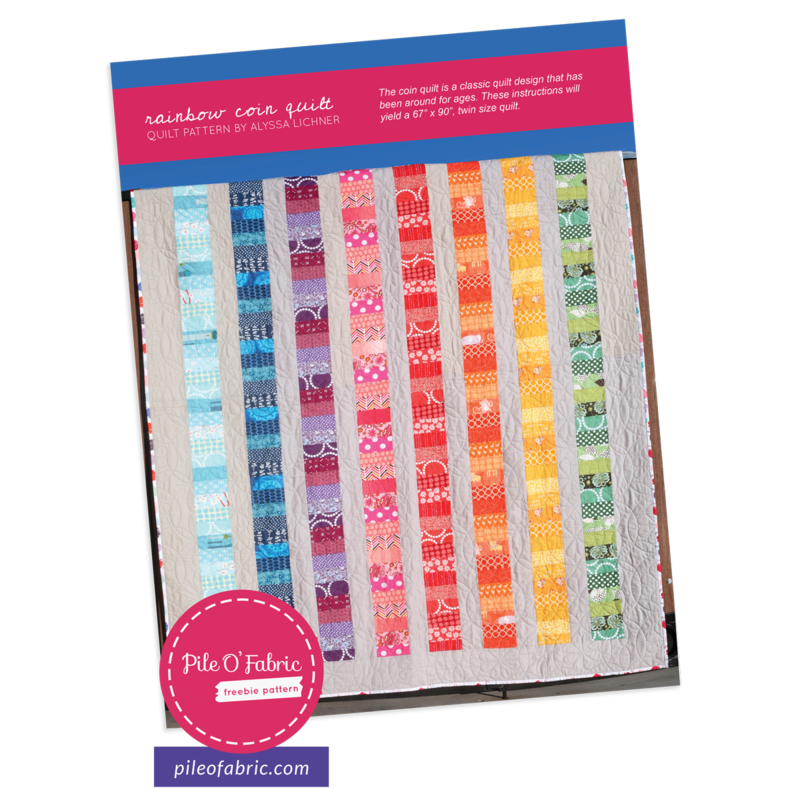 Subscribe to get the weekly Pile O' Fabric shop newsletter, which includes details of the current giveaway, our weekly stash bundle, new products, and free tutorials or patterns. When you subscribe to our newsletter for the first time you will be *automatically emailed a pdf Rainbow Coin Quilt pattern! *You must confrim your subscription for the pattern to be emailed.